Tragedy has struck in Kansas as a 10-year-old boy dies on the 'world's tallest waterslide'. Terrifying new details about death of 10-year-old boy on world's tallest waterslide. Caleb Thomas Schwab was killed on Sunday at the Schlitterbahn water park in Kansas City. 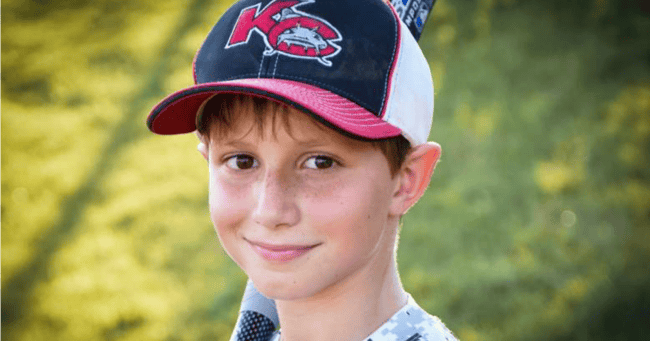 The 10-year-old was the son of Kansas State representative Scott Schwab and his wife, Michele, who released a heartbreaking statement Sunday night. “Since the day he was born, he brought abundant joy to our family and all those who he came into contact with,” the Schwabs’ said. The boy died while riding the Verrückt waterslide, which is billed as the world’s tallest waterslide, at the Schlitterbahn water park in Kansas City. Verrückt, named after the German for "insane", stands at over 51 metres high, equivalent to 17 stories. Esteban Castaneda told ABC7 Eyewitness news he had tried to help in the aftermath of the accident. He told the network he heard booms coming from the slide area and then "saw a body wash down the slide directly after the raft did". He said while trying to offer assistance a lifeguard told him there was nothing he could do. It was then he saw the boy appeared to have been decapitated. Castaneda said his own niece had ridden the slide earlier that day and had told him the velcro straps on her harness had come loose. Riders are separated into groups of two to three riders, all of whom are over 54 inches tall and whose combined weights are between 400 and 550 pounds. The groups are then strapped onto rafts that then "will slide down a jaw-dropping 168 foot 7 inch structure, only to be blasted back up a second massive hill and then sent down yet another gut wrenching 50 foot drop for the ultimate in water slide thrills," the Schlitterbahn&apos;s website says. There are many conflicting reports as to what went wrong on Sunday, but we do know that early in the afternoon on Sunday, Caleb climbed the 264 steps to get to the top of Verrückt. He, and at least one other person, though likely two others, climbed aboard a blue raft. When a metal gate opened, he and the others on his raft rushed down the slide at nearly 60 miles per hour before being pushed up and over a second hill. "Witnesses describe the boy going down the steep 168-foot drop of the world’s tallest water slide Sunday afternoon, then going airborne over the next hill, colliding with a safety net,” KSHB reported. Leslie Castaneda, who was at the park on Sunday, told KMBC that she had heard Caleb&apos;s brother describing what happened. "The little boy said to a worker, &apos;I just saw my little brother die because of one of your attractions&apos;," said Castaneda. "[Caleb] looked skinny. He shouldn&apos;t have been on that ride." Park guest Jessica Lundquist told KSHB she thought there was an issue with the slide&apos;s harness. 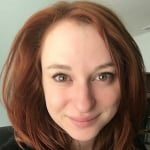 "A lady in front of me said that multiple times she rode the ride today, the Verruckt, and that the front harness did not work any of the times that she rode it," Lundquist explained. This isn&apos;t the first time the slide&apos;s safety have been brought into question. According to USA Today, before its July 2014 opening, the Verrückt had to be partially redesigned because rafts were flying off the slide at high speeds during test runs. "Test video shows rafts and sandbags ramping off the Hill and in some cases hitting and damaging the slide below," wrote USA Today. "Rumors of test riders going airborne circulated on social media, but only sandbags were sacrificed." "It&apos;s dangerous, but it’s a safe dangerous now," ride co-creator and co-owner of the Schlitterbahn water park Jeff Henry told USA Today when the ride eventually did open. "Schlitterbahn is a family water park, but this isn’t a family ride. It’s for the thrill seekers of the world, people into extreme adventure." According to Schlitterbahn spokeswoman Winter Prosapio, the park has been shut down until further notice and "a full investigation" is underway. Verruckt is closed during the investigation. However, we have restored the page for those who are interested in rider requirements. "We honestly don’t know what’s happened," Prosapio said to the Kansas City Star. "That’s why a full investigation is necessary. We have to understand what&apos;s happened. The Fire Department, of course, is here. (An) outside, inside investigation will be underway, and it will be a complete one… To be honest, this is not something we&apos;ve experienced." Feature image via Schwab Family.